Given how long many of us have to wait in line for that much needed cup of coffee, any opportunity to speed up the daily Starbucks stop will be much appreciated. And that’s exactly what the folks at Starbucks are beginning to realize. 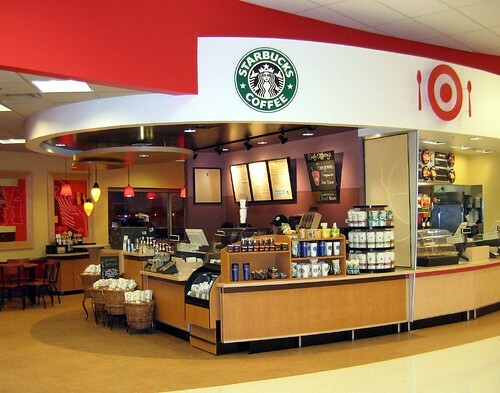 This week Starbucks has begun letting customers know that the Starbucks Card Mobile App now enables patrons to pay for purchases at more than 1,000 of their beloved coffee shops located within a Target retail outlet. Using their iPhone or iPod touch device, this new mobile payment option aims to increase the ease and expedience with which customers enjoy their Starbucks experience. The Starbucks Card Mobile and myStarbucks Apps launched last fall to much fanfare and it’s likely the mobile payment capability will be widely embraced by coffee lovers on the go. Building further on their mobile platform, Starbucks has also revamped Starbucks Card Mobile to enable customers to register a Starbucks Card and even check or reload a card balance. The national mobile payment rollout follows the company’s initial mobile payment trial that was beta tested in only a handful of West Coast stores late last year. What a great idea, will this service only be available on the iPhone? I would be great to see this technology in the UK!